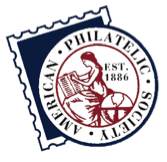 The AFDCS is aware that some mail-in requests for the Americover 2018 show postmarks were returned uncanceled by the Norcross post office and that other collectors received poor quality postmarks on their requests. The available cancels will be the three daily show cancels and the Frozen Treats dedication ceremony cancel. Robert Shelton, Doug Weisz, Larry Gassen, John Ringle, Otto Thamasett, Gary Denis, Eric Wile, Dave Curtis, Christine Sanders, Michelle Bakay, Tricia Richmond, Trevor Bills, Tom Garrett, Peter McClure, Ed Lyons, Karl Jacob, Greg Ciesielski, John Riley, Helen Fowler, Steve Wilson, Frank Kohut, Richard Novo-Mesky, David Heckman, and David Peterman. So, we're almost halfway to our goal of 100 donations, and it's been less than three weeks since we started this campaign. 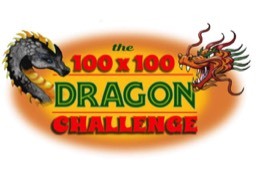 Send your donation now, so that you can be included in the 100. Bonnie Fuson, Elena Cornejo, Bob Lewin, Martin Severe, Lloyd de Vries, John Byrnes, Gladys Jones, William Lary, Ralph Nafziger, Tom Peluso, George Rost, James Frankiewicz, Foster Miller, D.A. Lux, Florence "Via" Villasenor, Matthew Whitcomb, Mark Goodson, and Steven Altman. 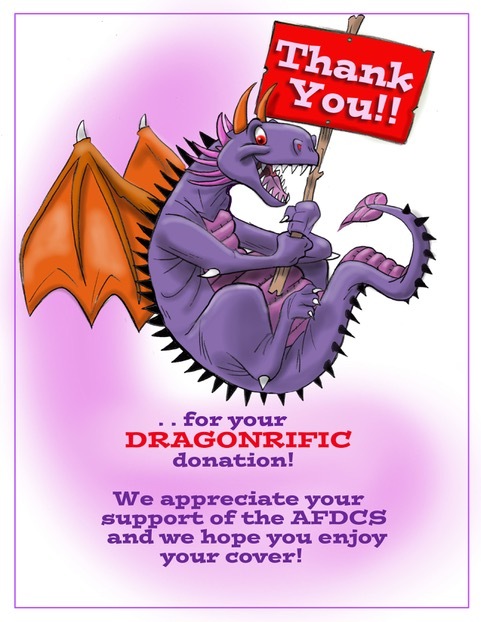 18 Dragon "Thank You" fold out FDCs collaboratively designed by Argineh Zadoorian and Dave Bennett have been mailed to all of these supporters. If you wish to receive one of these fabulous covers, send your donation a.s.a.p. If you procrastinate, you might be too late to own one of the remaining 82. Note: recipients of the covers also receive a colorful stuffer designed by Dave Bennett, shown below. 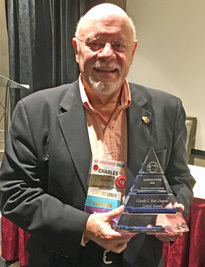 Charles J. O'Brien, III of Georgia (at right) received the Claude C. Ries Chapter Grand Award at Americover 2018 for his exhibit Frank Lloyd Wright – First Days and Usage of the Two Cent Issue. Remarkably, it was the very first showing of the exhibit. O’Brien’s 2018 Grand marks the fourth time, and second consecutive year, he has claimed the award since it has been sponsored by the Ries Chapter. Overall, he has taken home eight Americover Grand Awards since 2001. His exhibit becomes eligible for the Champion of Champions competition at the 2019 APS Stampshow. The Richard B. Thompson Reserve Grand Award went to Todd Ronnei of Minnesota for The U.S. Winston Churchill Memorial Stamp and its First Day Covers. It was Ronnei’s second Reserve Grand for the Churchill exhibit in just two weeks time (having also won at the Minnesota Stamp Expo in July). The Curtis B. Patterson Best in Show Single Frame Award and a Large Vermeil went to Ronald J. Klimley of Florida for Hand-Crafted FDCs of the Sandy Hook Lighthouse Stamp. Like O’Brien, Klimley claimed the award with an exhibit shown for the first time. The AFDCS thanks the jury of Chief Judge Tim Bartshe, Bill Schultz, Doug Clark, Steve McGill and William Fort. The new Frozen Treats stamps will be dedicated during the Americover 2018 stamp collecting show, Friday, August 3, at the Hilton Atlanta Northeast, 5993 Peachtree Industrial Boulevard in Peachtree Corners. The ceremony is at 11 a.m. and is free and open to the public. The Forever stamps, showing frosty, colorful ice pops on a stick in a variety of shapes and flavors, went on sale earlier this summer, and are the first scratch-and-sniff stamps ever issued by the U.S. Those attending will be able to come away with these stamps, and possibly sticky fingers, too. 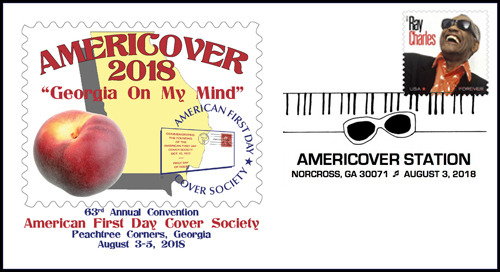 Americover 2018 is the annual show and convention of the American First Day Cover Society, a not-for-profit international stamp collecting organization. Americover is held in a different part of the country each year. This is the first time it is in Georgia. Last year it was in Ohio, and next year Americover will be held in Missouri. The AFDCS also held a dedication ceremony for the Soda Fountain Favorites stamps two years ago in Virginia. Besides the dedication ceremony, Americover 2018 features dealers, exhibits of rare material, seminars and meetings. There is also a youth table with hands-on activities, including making first day covers. Admission is free, as is parking. The three-day show’s hours are 10 to 5 on Friday and Saturday and 10 to 4 on Sunday. There is also a second marketplace on Saturday from 3:30 to 7:00 p.m., featuring just recent first day covers and cachets. Those wishing to bid in the auction but unable to attend Americover 2018 may e-mail bids to Foster Miller at fmillerfdc@gmail.com. Bids will be accepted until 9PM (Eastern Time) Saturday, August 4. Winning bidders will be expected to pay for their purchase on the AFDCS website. The theme of Americover 2018, to be held August 3, 4 and 5 in suburban Atlanta, is Georgia On My Mind. "Georgia On My Mind" is a 1930 song written by Hoagy Carmichael and Stuart Gorrell and first recorded that year. It has often been associated with Ray Charles, a Georgia native who recorded it in 1960. In 1979, the State of Georgia designated it the official state song. AFDCS President Lloyd de Vries designed this year’s cachet. De Vries is a multi-year winner in the Society’s annual Cachetmakers Contest. A set of three show covers with the three different show cancels (see blog post below) is $10 and will be available at the show. The pictorial postmarks for Americover 2018, the annual show, convention and FDC celebration of the American First Day Cover Society, were designed by Dani Leviss. 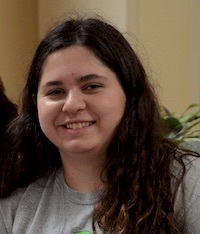 The New Jersey woman is part of the Young Philatelic Leaders Fellowship program of the American Philatelic Society, in the design track. Her mentor is professional artist Chris Calle and her sponsor is Ann Duncan. Leviss, at right, is also a first day cover cachetmaker and has in recent years had a table at the cachetmakers bourse. She is the daughter of the late Gerry Leviss, co-founder of Barry & Gerry Covers, and her mother Donna often operates the BGC booth at Americover. "I've always been running around stamp shows, sleeping under the table, looking through other dealers' stock," Dani Leviss says. Americover 2018 will be held at the Hilton Atlanta Northeast, 5993 Peachtree Industrial Blvd. Peachtree Corners, GA 30092, just 20 miles from downtown Atlanta. There are two bourses at the show (commercial dealers and cachetmakers), a banquet, meetings, award-winning FDC exhibits, a youth table, a hospitality suite, live and silent auctions, seminars, and a forum by a U.S. 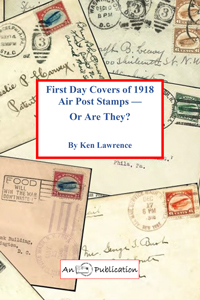 Postal Service official involved with first day covers. 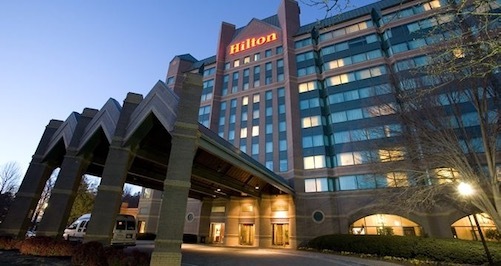 There is a special Americover room rate of $99 at the Hilton Atlanta Northeast, which includes Wednesday and Sunday nights. Visit the show page for complete information. 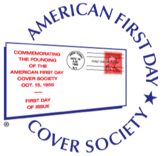 The American First Day Cover Society, the world's largest non-profit organization of FDC collectors, will hold its Americover 2020 stamp and cover show in conjunction with the American Philatelic Society's StampShow 2020 in Hartford, Conn., August 20-23. All the familiar features that make an Americover show special will be included: A strong emphasis on first day cover exhibits, dealers specializing in FDCs, a pre-show tour of sites and attractions in the Hartford area, a post-show dinner, the AFDCS President's Banquet, announcement of the annual cachet contest winners, a hospitality suite, a cachetmakers bourse, FDC auctions, and a busy program of meetings and seminars. 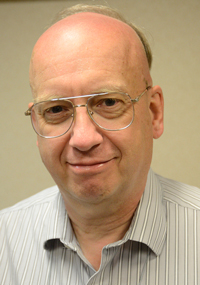 "The AFDCS hopes to share the fun of Americover with the larger audience that attends StampShow, while taking advantage of all that a large convention center show has to offer," said Americover programming chair Foster Miller. "We look forward to a successful joint show in 2020." 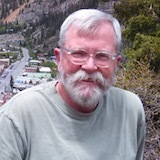 "I hope the AFDCS will bring a unique social experience [to StampShow] that we don't usually get at a stamp show," said APS executive director Scott English. For the past decade, the Americover show has often been held the weekend before or after StampShow, allowing collectors to take a "road trip" between the two events. However, some could not afford the time or money to go to both shows. This arrangement solves that problem for 2020. The agreement between the AFDCS and APS, to be formally announced at the APS General Membership Meeting at AmeriStamp Expo in Birmingham, Ala., on February 24, 2018, is only for 2020. It is similar to the one between the APS and the American Topical Association for 2018, when StampShow and National Topical Stamp Show are held jointly in Columbus, Ohio, August 9-12. The AFDCS has been holding its own standalone show and convention continuously since 1992. The event's name was changed to "Americover" the following year. It is held in a different part of the country each year. Americover 2018 is being held in the Atlanta area; 2017 was near Cleveland, and 2019 will be held in Saint Louis. 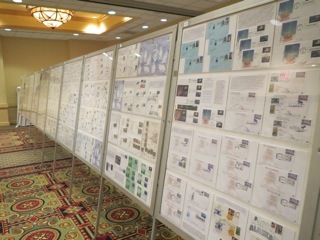 The Americover exhibitions have had full World Series of Philately status since 2005, and emphasize exhibits with predominantly first day covers. The American First Day Cover Society is seeking exhibits for Americover 2018, a World Series of Philately show to be held Aug. 3-5 in Peachtree Corners, Georgia (suburban Atlanta). The prospectus is now available on the AFDCS Web site by clicking this link, by regular mail from Kerry Heffner, 17656 K Street, Omaha, NE 68135-3491, or e-mail at exhibits@afdcs.org. The deadline for entering the Americover 2018 exhibition is June 1, 2018, or whenever the available frames fill up, which has happened in recent years. As a WSP show, the winner of the Grand Award at Americover 2018 will be part of the Champion of Champions competition at APS Stampshow 2019. Charles J. O'Brien, III of Georgia, winner of the 2017 Grand with “New York World's Fair 1939," will represent Americover this summer in Columbus, Ohio. In addition, if six or more competitive single-frame exhibits are entered, the Curtis B. Patterson Award recipient for the best single-frame exhibit will be invited to enter the APS Single-Frame Champion of Champions competition at AmeriStamp Expo in 2019. The Board of Directors of the American First Day Cover Society, the largest not-for-profit organization in the world specifically for FDC collectors, has elected the Society's officers for one-year terms. At the same time, the Board also selected Mark Goodson of Indiana (left) for his first term as its chairman. 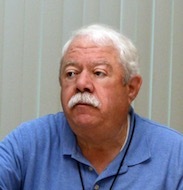 Goodson has been serving as First Vice President. The 2018 AFDCS officers will be Lloyd de Vries of New Jersey, president; Michael Litvak of California, executive vice president; Jim Hogg of Florida, first vice president; Ralph Nafziger of Oregon, recording secretary; and Ed Mendlowitz of New Jersey, treasurer. This will be Hogg's first term on "Exec;" he had been a member of the board for three years. AFDCS officers are not compensated, nor reimbursed for their travel expenses. The Executive Committee, which also includes the executive secretary, immediate past president, editor, membership and education chairs, and the general counsel, conducts business throughout the year and meets annually at Americover, the society's annual show and convention, which in 2018 will be held August 3-5 in Peachtree Corners (Atlanta), Ga. There were four seats open, so Miller, Denis, Klimley and Thompson were elected. Sixty-eight ballots were received and counted. There were no write-in votes. Although the voting deadline was pushed back, the turnout this year was greatly reduced by the production problems with the September-October 2017 issue of First Days. On behalf of the society, I would like to thank Jim Hogg for his service on the Board, and I look forward to working with him again. I would also like to thank the MCSCC, our Detroit-area chapter, and its president Frederick C. Levantrosser, for their excellent work (and patience).